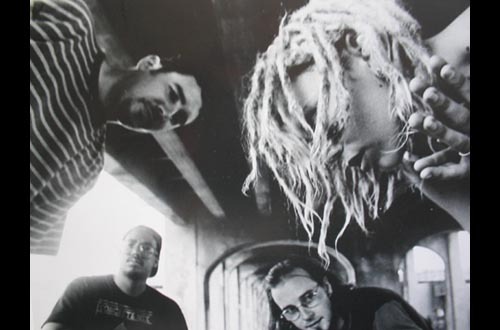 SnaGgletooth was a relatively popular band in the Cincinnati original music scene in the early to mid 90′s. The initial spark came when Dan Bennett and Todd Drake got together to write some songs in early ’93. Soon after came Chris Lee, and after a series of what could only be called ‘interesting’ auditions…Ali Edwards joined the band. They became known for their energetic live shows, and frequently made their way out of Cincinnati to places such as Cleveland/Akron, Chicago, Columbus and points in between. SnaGgletooth was put to rest in July 1995. Before our demise, however, we had started work on a new recording. Home made CD’s have been floating around for years of these recordings, as well as various live recordings. This website seems to be a good place to post some of those songs…for your listening pleasure.